Mrs. Charlotte M. Scott: 88 years old of rural Lake Sara near Effingham, Illinois passed away on early Saturday Morning, July 28, 2018 at 9:15 AM at the Evergreen Nursing and Rehabilitation Center, Effingham, Illinois, where she made her home the last few years. Charlotte was born on December 23, 1929 in Rural Mason, Effingham County, Illinois one of five siblings into the family of Owen and Maggie Edwards-Lowder. During her younger years she live and worked in the Effingham Area. She then moved to Decatur, Illinois where she worked and retired from General Electric. 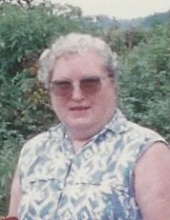 She married Robert W. Scott in 1963 and after their retirements they moved to the Lake Sara area near Effingham, Illinois which would be close to her home and family. Bob preceded Charlotte in death on September 22, 1991. She then was taking care of a special friend Edward W. Fulte for a number of years and he preceded her in death on February 11, 2006. After her health failed she moved to Mabank, Texas with her son and then returned to the Effingham after a number of years. She was a member of the First Christian Church in Mason, IL for a number of years. Charlotte leaves to mourn in her passing her 2-Sons: Randy (wife, Yolanda) Scott of Lake Elisnore, California, Gary (wife, Lou) Gaddie of Huntsville, Texas. 2-Daughters: Vicki Ann (husband, Albert) Fadeley of Gallatin, Tennessee and Stacey Scott of Riverside, California. 1-Daughter-in-law: Jan Gaddie of Mabank, Texas. 9-Grand, 8-Great Grand, and 2-Great Great Grandchildren. 2-Nieces: Loretta Darlene Gulley-Moriarty, Cathy Rena (husband Brian) Gulley-Lane and Great Niece: Crystal Darlene (husband, John) Habing all of Effingham, Illinois as well as other nieces and nephews. To send flowers or a remembrance gift to the family of Charlotte M Scott, please visit our Tribute Store. Rev. David McConnell of the First Christian Church in Effingham will be officiating. Burial will follow to the Wright family Cemetery, near Mason, Illinois. "Email Address" would like to share the life celebration of Charlotte M Scott. Click on the "link" to go to share a favorite memory or leave a condolence message for the family.